Pumps are commonly encountered in industry and are essential to the smooth running of many industrial complexes. Mechanical engineers entering industry often have little practical experience of pumps and their problems, and need to build up an understanding of the design, operation and appropriate use of pumps, plus how to diagnose faults and put them right. 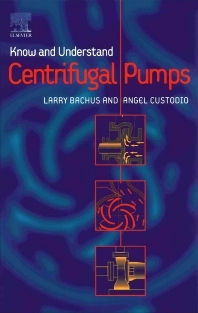 This book tackles all these aspects in a readable manner, drawing on the authors' long experience of lecturing and writing on centrifugal pumps for industrial audiences. Mechanical engineers, fitters and maintenance engineers. What's the practical application of these laws? Why is this pump in the shop?